What is Mechanical Vibrational Massage and is it useful during a Massage? pain, improve circulation and improve skin condition. Gyratory massage is an all-encompassing term used to describe a type of deep tissue massage. Generally, this technique is used with the assistance of a machine that has several different applicator heads. … It also assists in lymphatic flow, breaking down fat stores to reduce the appearance of cellulite and fatty tissue. Read More What is Mechanical Vibrational Massage and is it useful during a Massage? 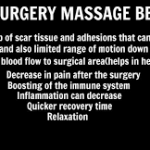 In addition to stopping swelling in its tracks, massage is particularly good at relieving any type of pain the body may be experiencing after surgery. The amount of massage reduces pain is already the number one reason why patients seek massage therapy, so this should be no different after surgery. Positional Release Therapy (PRT) also known by its parent term, strain counter strain, is a form of manual medicine that resolves pain and tissue dysfunction. … Dr Speicher has advanced this technique through his research and clinical practice into a full body therapy for integration into a comprehensive treatment plan. With PNF stretching, you’re able to move past that point of discomfort. As such, it will improve your performance and range. It’s proven to be better than static stretches where you hold a stretch for a certain length of time; that can actually pull or strain a muscle. It’s also superior to static stretches when it comes to improving range of motion. Therapists use a variety of movements to assess for sites of irritation. Sometimes patients may test negative, but this does still not rule out nerve irritation, in these cases, a more refined assessment along the entire path of the involved nerve may be needed. 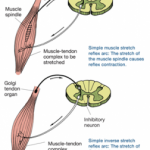 Muscle Energy Technique (MET) is a form of a manual therapy which uses a muscle’s own energy in the form of gentle isometric contractions to relax the muscles via autogenic or reciprocal inhibition and lengthen the muscle. 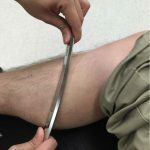 As compared to static stretching which is a passive technique in which the therapist does all the work, MET is an active technique in which the patient is also an active participant. Active Engagement (AE) techniques are used to increase the intensity of treatment without increasing the pressure. They integrate active movement by the client with therapeutic techniques by the therapist. 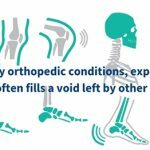 In addition, these techniques address multiple issues: chronic tension, overuse injuries, and muscles that are difficult to access. The work is performed during concentric and eccentric muscular contractions. Concentric contraction is the shortening of a muscle. In contrast, an eccentric contraction is the lengthening of a muscle.